A good move for you is a good move for us. The team at Lambert’s works hard to ensure you have a smooth transition with minimal disruption to your life. 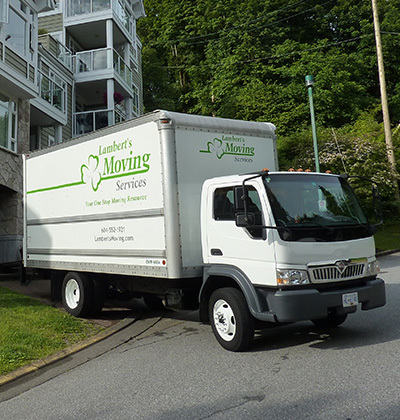 Our senior move managers help you through the often emotional process of downsizing and relocating. Enjoy all-inclusive moving with Lambert’s extensive pre and post-move services. From pressure washing to charity drop-offs, one call does it all. Lambert’s team of professionals is committed to providing peace of mind moving solutions for you. From simple to full service moves you enjoy great customer care and dependable service. Based in Coquitlam, we serve the Tri-Cities,Vancouver and the Lower Mainland. Dave is happy to provide free estimates and help you plan and prepare for your move. We touch base with you in the days leading up to your move to make sure you are feeling on track for a good move day. If you find you suddenly need a hand, we can help. Our unique and extensive services make your life easier. If you need a helping hand to prepare your home for sale, or sort and remove for downsizing, or unpack in your new home, our crew can be relied upon to see you through. We'd love to discuss your move! From planning and packing to moving and unpacking, it all starts with a phone call. Call or email us today!